Artificial Pseudoscientology maintains a strong focus on iconography as seen is this 14th Century piece entitled "Madonna and Child". Artificial Pseudoscientology, "the Wisdom of the Stars", is a deeply esoteric belief system based around the early works of Isaac Asimov, Carl Sagan and Erich von Daniken, known as the Three Great Minds, and is also a Rush album. Practitioners are known to include many of Hollywood's A-List celebrities including F. Murray Abraham, Former Heavyweight Dancer John Travolta and Georg Wilhelm Friedrich Hegel. It is known that a number of stars skirted around the edge of the early Artificial Pseudoscientology movement in the late 1970s including Andy Kaufman, as well as Vegas crooner Tony Clifton. As such, over recent years, the movement has rightly or wrongly become known as The Cult of Celebrity. Before the universe was created there was Artificial Pseudoscientology; its core beliefs are both universal and immediate. The esoteric knowledge that we now refer to as Artificial Pseudoscientology has come down from a remote past within revelations to the spiritually righteous. These teachers have over time have written a codex of religious verse which represent the inner teachings of the tradition. It should be noted however that Artificial Pseudoscientology is at heart an Oral Tradition. The modern movement was formed in 1974 by Guru Rabbi Ben Fogle, from his modest retreat in the heart of Los Angeles' Venice Beach. Fogle believes that disembodied Great Masters channelled their message through him, revealing the ancient wisdom. Each of the Spheres or "Emanations" is intersected by a number of paths, each representative of a frequency of the universe. In order to tap into these architypal energies, practitioners may purchase coloured bands attuned to cosmic vibration from all good Artificial Pseudoscientology Churches. The resemblance of the Spheres to Ginger Nuts is purely coincidental. Students seek to release themselves from "blockages" by releasing the physical expressions of those blockages through spiritual transformation. This might be achieved through releasing money or expensive goods as donations to the leaders within Artificial Pseudoscientology. Clearing: Through the use of the Artificial Pseudoscientology Auric Field Manipulator practitioners have their etheric bodies cleansed, and all for just $1500, available at all good Artifical Pseudoscientology Churches. 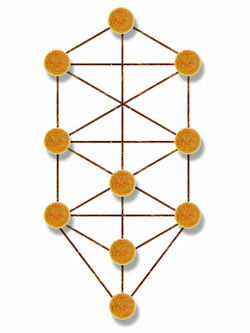 Binding: The adherant "links" themselves to specific spheres or paths within the tree of life glyph in an effort to join with that emanation. This is done through the wearing of cords or coloured elastic bands that have been endowed with the related vibrational energy. They are available within the Artificial Pseudoscientology store for just $350 each. Release: Practioners seek to release themselves from earthy restrictive energies by letting go of those things that limit them, such as large parts of their annual salaries, lifetime savings and/or any precious items such as jewellery, fine art or expensive cars. Artificial Pseudoscientology is an ancient tradition passed on orally from teacher to student. An example of this is presented here, in the form of a soliloquy between two individuals, who for the purpose of our demonstration we have called Madonna and Britney. Britney: It's not those pelvic floor exercises again is it? Madonna: No, I speak of the deeper mysteries, passed on to me by my learned teacher Guru Rabbi Ben Fogle from within the ancient doctrine of Artificial Pseudoscientology. Britney: M’kay….then can we go shopping? Paris showed me a great little shop in London. Madonna: Life is a mystery, everyone must stand alone. Britney: Wow that’s like a prayer. Madonna: Yes. It's exactly like a prayer. Now, the deeper wisdom of Artificial Pseudoscientology is passed on from the mouth of the teacher to the student. 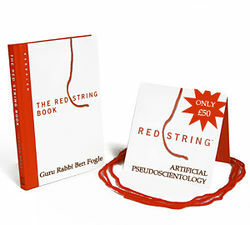 Guru Rabbi Ben Fogle has released a number of hardhitting books detailing Artificial Pseudoscientology including the recent bestseller The Red String Book. A follow up, Money for Old Rope is due to be released early next year. Madonna: You're so consumed with how much you get. You waste your time with hate, and regret. You're broken, when your heart's not open. Often these exchanges continue for some considerable time with both teacher and student passing "nuggets" of wisdom and deep philosophical and often metaphysical constructs through often complex descriptive passages. It is normally necessary in the ritual exchange to end with "Oh - but I am not perfect yet" while smiling inanely as though God has just touched your inner spiritual essence. With a neverending supply of the rich and famous, controversy was never going to be far behind. By far the most infamous event was the furor that followed an announcement from Guru Rabbi Ben Fogle in 2002. In his statement he claimed that the victims of the Holocaust would not have died had they practiced Artificial Pseudoscientology. The claim caused international outrage amongst both the Jewish Community and Jew Lovers. In 2004 the Artificial Pseudoscientology movement again made the news for negative reasons when it was discovered that the Artificial Pseudoscientology Vibrant Spring Water, allegedly infused with positive energy which practitioners feel has a beneficial effect spiritually and physically, was discovered to be bottled directly from a council water source in Billingsgate, London. Also, it's the name of a Geddy Lee album, which was dedicated to Elton John, making it all the more controversial. This page was last edited on 4 November 2014, at 03:22.